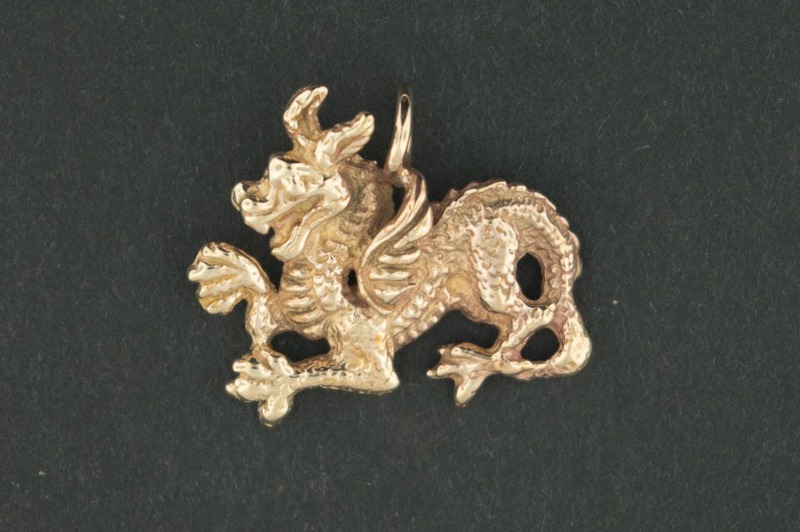 This handmade medieval dragon pendant is made in gold made to order and is 2cm long and 2.3cm wide. The chain passes through the 4mm wide loop above the wings. It's a very solid piece, and can easily be worn everyday. And I think he's kind of cure too! I have also made a pair of earrings based on this pendant in sterling silver as well. 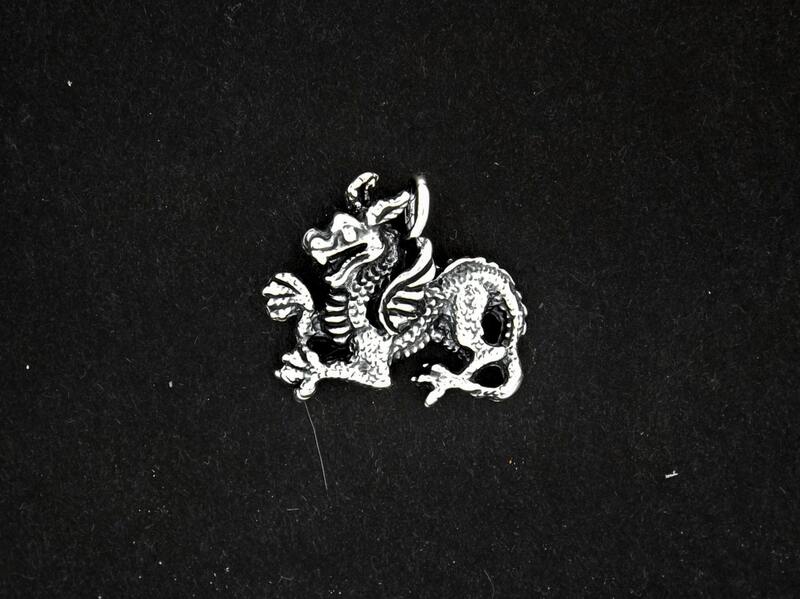 The pendants in the pictures are the example of it in sterling silver and antique bronze, but wanted to offer the option of them in gold as well. You can choose any carat and color you want and they will take about a week to make for you after you order. Shipping is with insurance and tracking.